A guest article by Jono Kenyon. People are constantly amazed when I mention I live on the same road I grew up on. Something about London seems alien to the concept. Either you grew up here, then promptly upped sticks the moment you had a family, or you moved here at some point in life. For me, fate and luck brought me back to the same street I played on as a boy. 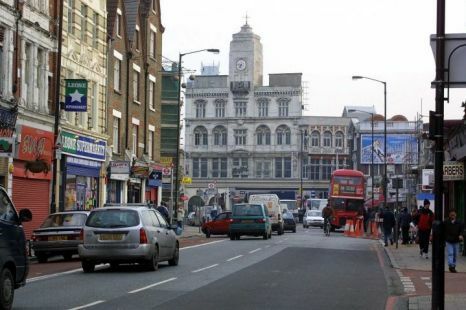 Many of the local roads adjacent to Seven Sisters Road were closed off to through traffic in the early eighties to curb prostitution. This was an incredibly successful strategy, and it also led to a better street environment. My brother and I played in the street regularly, despite there being the huge Finsbury Park less than 100 metres away. So here we are, 20 years later, and things have changed. It’s rare to see children playing in front of their houses with other kids from the street. Children are spending more time indoors or being shepherded from one structured activity to the next. In many parts of London, people don’t know their next door neighbours, let alone any other families on their street. I often wondered whether we could ever rekindle the old sense of community and see children out playing as I used to. Then two things happened. We had a street party, instigated by some neighbours we had never met, and I read a piece in the Guardian about a scheme called ‘Playing Out’, started in Bristol, aimed at encouraging street play. It struck a chord with me. We want our children to trust the space outside our home. We want them to get to know the people we live near, not just next door to. We would like to generate a sense of community, rather than waiting for one to magically come about. At the street party, we found many people that we live amongst, but had never met, who felt the same way. So what stops us from just opening our doors and letting the kids roam free? Cars. Despite the gates, vehicles continue to travel in a fashion unlikely to encourage kids to play naturally in the street. Drivers just don’t expect to encounter anyone or anything on the 200-metre zip up the road. Playing Out offered a way to begin to take back some ownership of the space outside our homes. Essentially the idea is to formally close a street to through traffic to allow children to play. Giving children the freedom to play in the street allows them to form relationships with kids they don’t go to school with. Younger children can bond with older ones too. Unstructured playtime allows children the opportunity to gain independence from their parents. Kids make up their own games with their own rules and ultimately resolve their own conflicts without adult interference. In addition, Playing Out helps to develop a sense of community in the street. We had a lot of support, not just from the parents of children playing, but also from childless and elderly neighbours. Our experience of other sessions elsewhere in Hackney was that many people simply came out to have a cup of tea and a chat with others. So how did we organise the first of our 12 playing out sessions this year? I attended an evening workshop given by Alice Ferguson, who co-created the Playing Out concept. The workshop outlined why Playing Out was a good idea, and ran through the procedures required to get it going. Our road had a great head start as two other neighbours came to the workshop. The three of us got together and began the process. A great deal of the groundwork had been done by others including local resident Claudia Le Sueur Draper who had organised with Hackney council to facilitate the sessions. The council were encouraged to start a 12 month trial to allow the granting of temporary road closures for street play, or TPSO. We leafleted the whole street to introduce the idea and find more support. We then had to go through a formal consultation process, notifying all residents of our intended 2-hour road closures. Once that was completed, Hackney supplied us with formal notices and some ‘Road Closed’ signage. Volunteers strung up bunting across each end of the street and stewarded these entry-points, slowly escorting through any residents’ cars and turning away all other traffic. Our first session was for 2 hours last Sunday, and was great, albeit cold! What struck me was how little encouragement the kids need. We didn’t need to worry about them being bored at all. As soon as the barriers went out, it was ‘game on’. Neighbours came out to offer cups of tea and home-baked treats. Ultimately, I would like the formal side of Playing Out to fade away in our street, as well as neighbouring ones. I would like the 6 roads that make up our network here, to become a safe zone for street play. It would be nice for cars entering residential streets across the UK to know that children may well be in the road, and should take priority. Lots of information is available on the Playing Out website. Share the Space is a new campaign run by the Canal and River Trust, encouraging considerate use of towpaths in London. The Canal and River Trust, which will take over from British Waterways as the guardian of London’s waterways later this summer, are calling for all those who use London’s towpaths to follow a new Greenways Code for towpaths and to help keep the capital’s historic network of waterways safe and pleasant for everyone to share. We, the Canal and River Trust, as guardians of London’s towpaths, are faced with a problem, albeit quite a lovely problem to have. We are just too popular. Our towpaths provide a network of green spaces that seem such a novelty in a city like London. They’re a lovely way to get from A to B by foot or by bike, simply enjoy a relaxing stroll or a picnic lunch. At peak times, however, in busy places like the Regents’ Canal, some 500 cyclists and 300 walkers per hour use the towpath and it’s our responsibility to ensure the towpaths remains safe and enjoyable for everyone. This is why we have recently launched our Share the Space campaign, as part of a package of measures, to encourage those who use London’s towpaths to be considerate of other users, and help to keep the towpaths as havens for people and nature. Behavioural change campaigns, such as this, are not new to us. We ran the Two Tings campaign for the past three years, encouraging cyclists to give ‘two tings’ of their bell, to let others know where they are when they are approaching, or wanting to overtake. In terms of raising awareness and engaging with cyclists, the campaign was an overwhelming success. How do we know this? Pretty simple really, just stand on the Regents’ at peak time – all you can hear is bells! This is why we’ve created this new campaign. Based on our research , which we undertook with Forster Communications and involved focus groups workshops and a canal network wide consultation, we discovered most people are now more concerned about the speed at which other visitors travel and their consideration for others. 1) Share the Space- consider other people and the local environment whenever you’re on a Greenway. 2) Drop your pace- jogging and cycling are welcome, but drop your pace in good time and let people know you are approaching by ringing a bell or politely calling out before waiting to pass slowly. 3) Pedestrians have priority- towpaths are Greenways, or shared use routes where pedestrians have priority. 4) Be courteous to others- a smile can go a long way. 5) Follow signs- they are there for the safety of everyone. Cyclists should dismount where required and use common sense in busy or restricted areas, recognising that pedestrians have priority. 6) Give way to oncoming people beneath bridges- whether they are on foot or bike and be extra careful at bends and entrances where visibility is limited. 7) When travelling in large groups- especially if you are running or cycling, please use common sense and give way to others. 8) Try to avoid wearing headphones- as this makes you less aware of your surroundings, and others sharing the same space. 9) Keep dogs on a short lead- and clean up after them. 10) At all times, keep children close to you– and encourage them to learn and follow the Greenway Code for Towpaths. And – to be honest – we don’t think it’s much to ask! We worked hard to keep the rules simple, easy to follow and above all else common sense. We have also recruited an excellent team of Volunteer Towpath Rangers, in all the boroughs the London canal network flows through to spread the word. They run towpath events, act as our eyes and ears but more importantly they’re our ambassadors meeting with local groups and communities. We’re sure that by spreading the message about Share the Space, we can help relax the towpaths, which can be incredibly congested during peak times with the same success that Two Tings had. We want our waterways to be a pleasant experience for everyone to enjoy, and we would encourage anyone who meets CRT staff or volunteers on the towpaths to say hello and talk about the campaign. Share the Space is entirely funded through the Greenways fund; a joint venture from Transport for London (TfL), the Mayor of London and the Olympic Delivery Authority (ODA), which is making enhancements across the capital to facilitate better access for walking and cycling. With the surge in popularity of the towpaths, we are also working with TfL to provide alternative routes, improving the quality of roads in the capital so that cyclists who wish to travel at speed can use the roads safely, and leave the towpaths for those – such as less able walkers or not-so confident cyclists – seeking the more leisurely way of life. Following cancellation of some accounts and the promise of a flash-mob protest outside his offices tonight, the boss of Addison Lee has issued a pseudo-apology while re-stating his prejudices – which discriminate against cyclists and other road users outside motor vehicles in general and Addison Lee vehicles in particular. For us he is digging himself in deeper. This saga is not just about a publicity seeker angling for notoriety and some extra business (he has form, as indicated by the excellent David Mitchell in yesterday’s Observer). It actually reveals a lot about the way in which we are supposed to think about transport and safety on the road. This is not just one more extremist. His views are simply versions of the dominant ‘road safety’ ideology which bedevils a civilised approach to transport and real safety on the road. His tendency to get hold of the wrong end of the stick not just once, but on a range of issues is typical of the inversion of the reality that passes for ‘road safety’. The most obvious example of this corrupt ideology is that Mr Griffin (see Saturday’s Times) has actually signed up to The Times cyclists’ safety campaign. Yes, he is actually on the side of cyclists! “My foreword in Addison Lee’s magazine Add Lib, has caused quite a storm amongst the Twitter community, and I’m glad it has. In the article, I argue for compulsory training and insurance for London’s bicycle owners and I still stand by my contention. TRAINING (or perhaps we should say ‘TRAINING’, as plainly what Addison Lee drivers are all too often up to indicates that any training they may have received has been for a form of behaviour which is not advocated by the Highway Code). This is the classic example of getting hold of the wrong end of the stick – twice over. Firstly, if anyone needs regulation to control behaviour which is genuinely anti-social because it threatens other people’s lives, it should be the motorist. After all, by any objective measure (the third party insurances of motorists as compared to members of the cycling organisations, for example), it is motorists, not cyclists, who need control and regulation. The other stick wrongly handled is that of ‘training’ in the first place: generally it is not about control or regulation anyway, it is about breeding confidence. The RDRF has strongly supported National Standards cycle training as a way to do this and generate more cycling, with major safety benefits accruing from the greater awareness by motorists of increased numbers of cyclists. Much of this cycling will of course be precisely the assertive cycling (taking the primary position, etc.) which seems to upset so many motorists, Addison Lee drivers among them. It is about empowerment and enablement. It is not something to be forced on actual or potential cyclists; it isn’t what Mr Griffin would probably like to see anyway (it teaches rights as well as responsibilities), and it is ludicrous to see cyclists, rather than motorists, as the problem to be controlled. INSURANCE There is a good case for motorists carrying third party insurance – but there have to be proper chances of errant motorists actually being found liable and with proper pay outs for the damage they cause to people’s lives: we would argue that neither happens at the moment. We need black boxes on vehicles to establish cause of collisions and proper reparations. Also, we certainly have a significant proportion of London’s motorists who don’t pay third party insurance, which Mr Griffin does not seem to be chasing up. But full insurance against responsibilities is just that – a way of protecting motorists from their responsibilities. At the very least no more than 80 – 90% of the cost of injury to human beings (we are not so concerned with damage to property) should be recoverable through insurance. Third party insurance should be seen as at least in part another example of motorists getting away with it. WHAT – OR WHO – IS ‘DANGEROUS’? Throughout, Griffin assumes that because some road users are not inside crashworthy vehicles there is something wrong with them – not the road users who are dangerous to them and everybody else on the road. We won’t go into how the increasing crashworthiness of vehicles has made motorists even more of a potential menace to others: suffice it to say that we need to see the principle problem as those who can endanger others the most. This seems to be completely outside Griffin’s world view. ‘Road safety’ ideology protecting the (careless) motorist has always patronisingly muttered about ‘protecting the vulnerable road user’ (that’s human beings outside cars) – what do you think may actually be endangering them? 2. Motorist law and rule breaking is generally accommodated – or even colluded and connived with – by the creation of crashworthy vehicles (crumple zones, seat belts, airbags, roll bars etc.) and a highway environment (anti-skid, crash barriers, felling roadside trees etc.). Maybe try doing that for cyclists if equality is what you’re after? TAXATION We need to demolish the myth of motorists being ‘overtaxed’, although it is not there in Griffin’s latest outpourings. LAW ENFORCEMENT We will certainly need to raise again – London cyclists have long complained about this – the lack of law enforcement by motorists in general and private hire cars in particular. This episode should be seen as an opportunity to do so. The failure to discuss this has been a major problem in The Times campaign so far, as we have pointed out. If it is not to fail it needs to be addressed. We’ve written a guest post for the Cycling Embassy of Great Britain on the need for cyclists to act as champions for a wider transport revolution that will create a reslilent transport network able to respond to the challenges of climate change and peak oil while improving quality of life and reducing inequalities. You can find it here. 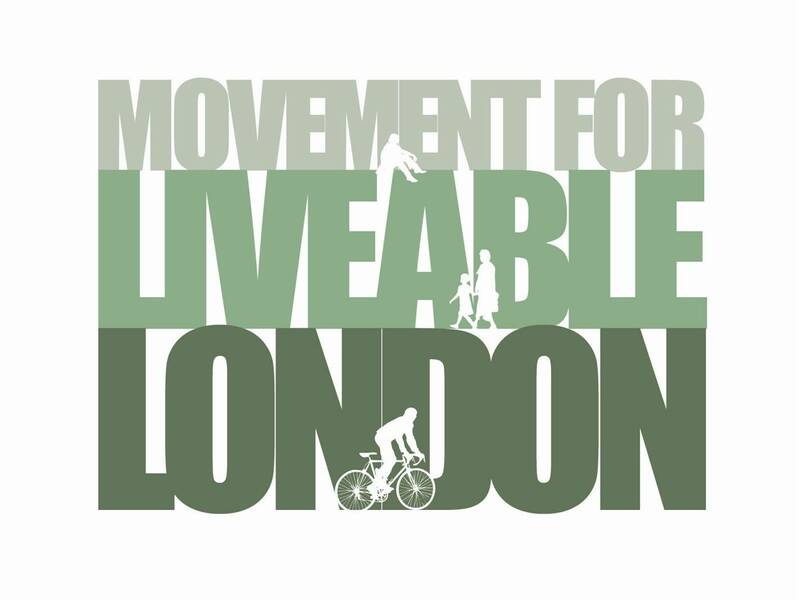 How we might work towards a safer, more liveable London is a topic debated energetically at each month’s Street Talks. Whether it is the pros and cons of shared space or the practicalities of segregated cycle lanes, the desire is to create a safer London where people feel comfortable to walk, cycle and spend time. Yet the fact remains that last year alone, 65 pedestrians and 16 cyclists were killed on the capital’s streets. So what can be done? Living Streets is the national charity working to create safe, attractive and enjoyable streets around the UK. In our opinion the single biggest change we can make to creating a more liveable London is to reduce vehicle speeds across the capital. That’s why this year in the lead up to the London mayoral elections Living Streets, Sustrans and a coalition of 27 other prominent organisations are asking for mayoral candidates to commit to introducing 20mph on parts of the mayoral controlled streets where we live, work and shop in our campaign a City of 20. However we also know that around a third of London’s collisions are happening on those streets controlled by the Mayor (the TLRN) and that’s despite it only making up 5% of the street network. The reason the City of 20 campaign is focusing on parts of the TLRN where we live, work and shop is simple -that’s where the biggest impact can be made. By first tackling those streets where the greatest risk of conflict arises we can make the greatest benefit to people’s everyday lives. These are community centres and local high streets – the streets where people live, walk to school and go to their local shops. Of course 20 mph doesn’t just make our streets safer, it also makes for better streets where people are more likely to walk and cycle. Unsurprisingly, in Europe 30km/h (18mph) speed limits are the foundation of cycling and walking policies in Denmark, Belgium, Germany, Netherlands, Norway and Sweden. Importantly 20 mph can be implemented at low cost, and is easy to do. Portsmouth converted 1,200 streets in the city to 20mph for a cost of just over half a million pounds. Prior to this, they had been planning to spend £2 million on ten targeted 20 mph zones over five years. New government legislation makes it now possible to introduce 20 mph limits without expensive roads calming measures. In fact the cost of road casualties suggests a sound economic argument for 20mph simply with the amount casualties it will prevent, with the DfT estimating that a road fatality costs in the region of £2 million. There simply is no excuse for the entirety of the TLRN to be exempt from 20 mph. Already other main roads such as the Walworth Road in Southwark have a 20 mph limit. Islington has recently announced plans to expand 20mph from residential to all main roads in the borough. Getting London to be a truly world class city for walking and cycling is a huge challenge but 20 mph speed limits on the streets where we live, work and shop would be an excellent start. Please join the campaign by writing to the future Mayor of London today.